I am very excited to announce that my second novel, Drawing the Dead, is almost ready! I have a sample of the print edition in my hands and only a few things remain left to do. I expect the novel to be out sometime in April. So, it’s time to make introductions. What happens when we die? Viki Dobos knows. Her job is to help people talk to their dearly departed. She draws the deceased, and they come to life on the page… briefly. When a rich Russian man hires her and whisks her away to Hawaii, everything changes. The rich man wants her to do the forbidden, and a handsome man she meets on the beach needs her more than he knows. Viki will have to confront her past, face her fears, and risk everything to help them. Drawing the Dead takes place in the same “universe” as Shuffled Off. That means that ghosts and the concept of the afterlife established there, apply to this book. And, most importantly, it means that JJ and the gang get to make a cameo. You might have noticed the above blurb mentions “A Ghost’s Memoir series” and “To Be a Fool.” Yup, JJ will be back soon, and this book gives a sneak peak a what is coming for JJ. This book hits many of the same themes as Shuffled Off (life and death), but does it from a different angle. While Shuffled Off focuses on the dead and their interactions with the living, this book focuses on the living as they peer across the veil to the world of the dead. If you’d like to know more, you can start reading right now. The first three chapters are on the site. 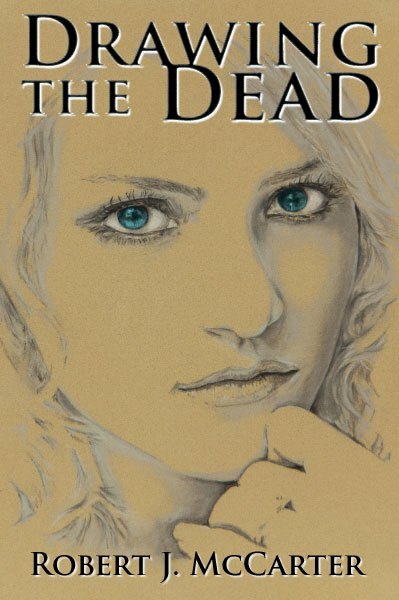 The paperback version of Drawing the Dead will be priced at $14.99. Right now, I have signed copies on sale for $11 for the next few weeks until it is officially released. This is my way of saying “thank you” for your support. The pre-release books will ship shortly after the book is official out, and there is a $5 shipping charge no matter how many books you purchase. Signed copies of all my print books are for sale in the store, so the more you get the better deal shipping is. OK, so there it is, introductions are made. Watch this space for more info on Drawing the Dead! I would love a signed copy – if you don’t sell them all out instantly, count me in! And, please check your typo above, “than you” wants to be “thank you” – Cheers! You got it Jack; I’ll have signed copies ready in a few weeks.